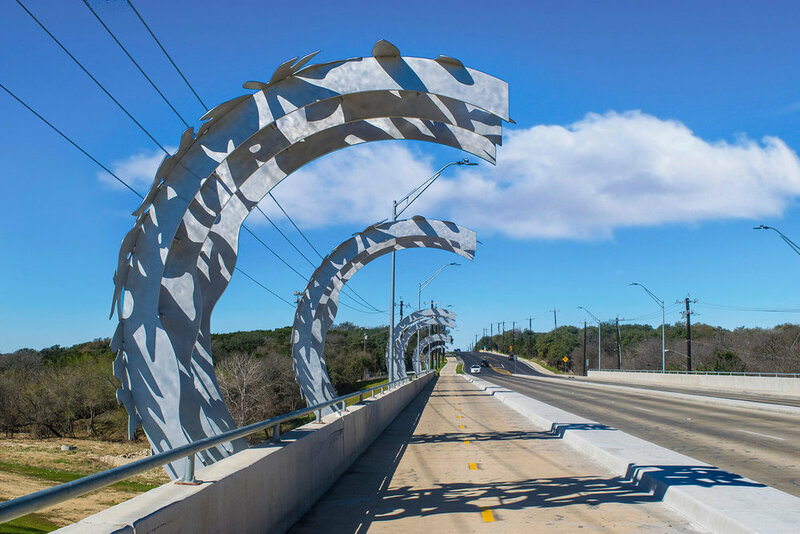 Hausman Road Bridge at Leon Creek Greenway, San Antonio, TX, USA. 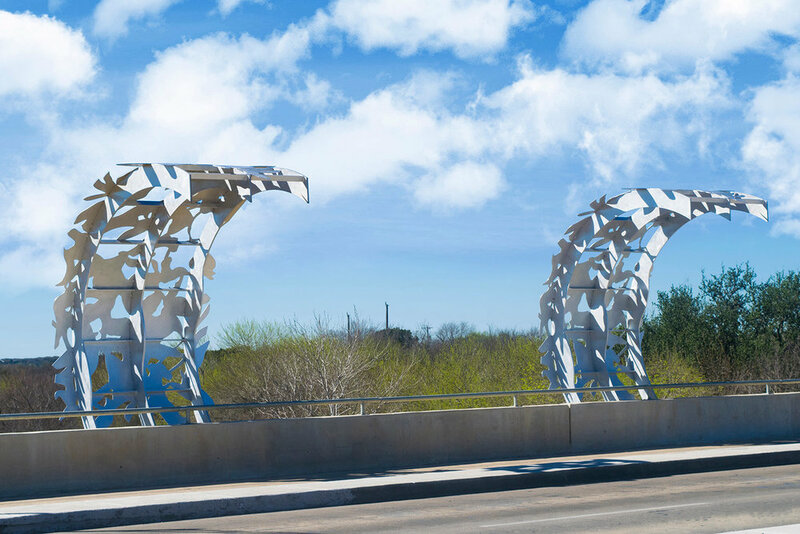 Leon Creek Crossing is a layered, multi-dimensional work of art designed for the Hausman Road Bridge. 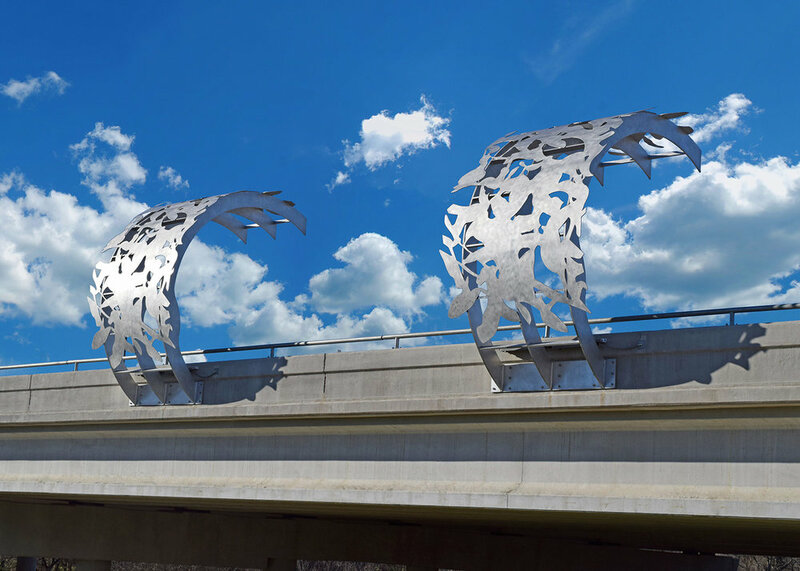 The artwork brings images from the natural shapes of the riparian plant community up from below to create an inviting pedestrian walkway along the otherwise concrete bridge. A series of seven arched sculptures, evoking natural shapes, combine to form a sculptural space through which the viewer passes. 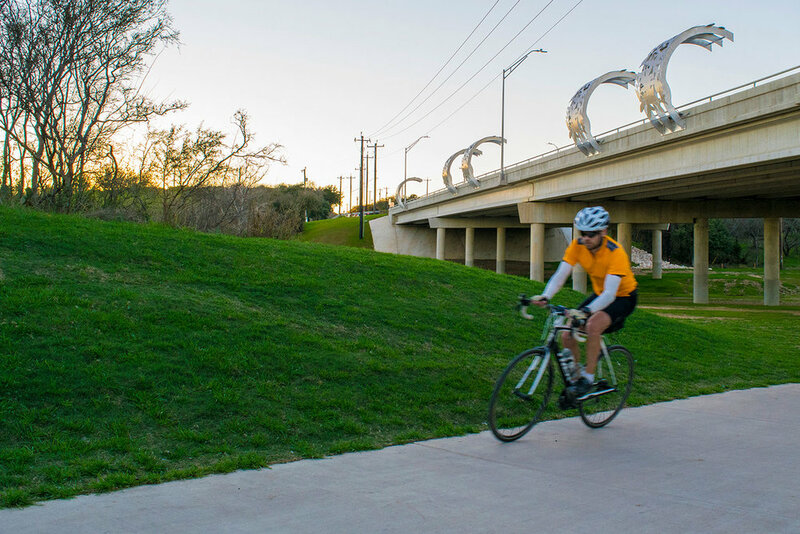 The canopy of the passage echoes the tree canopy along the Leon Creek Greenway below. 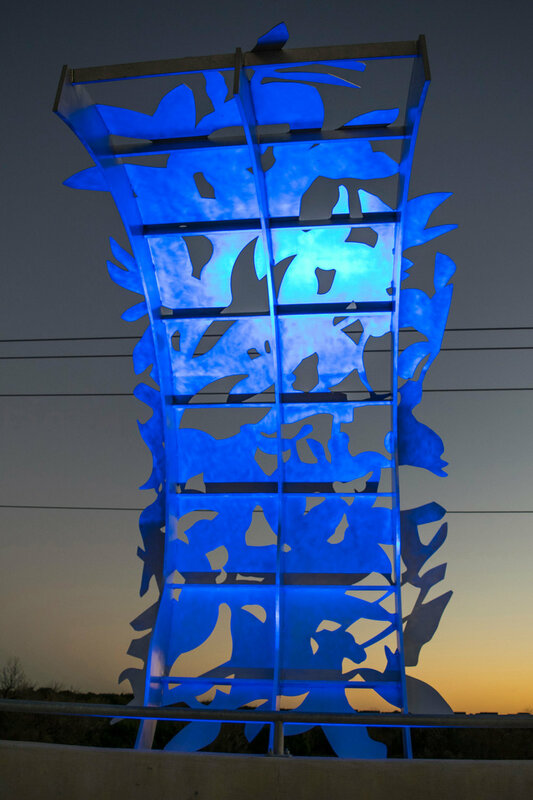 Artist drawn images are laser cut in aluminum plate. 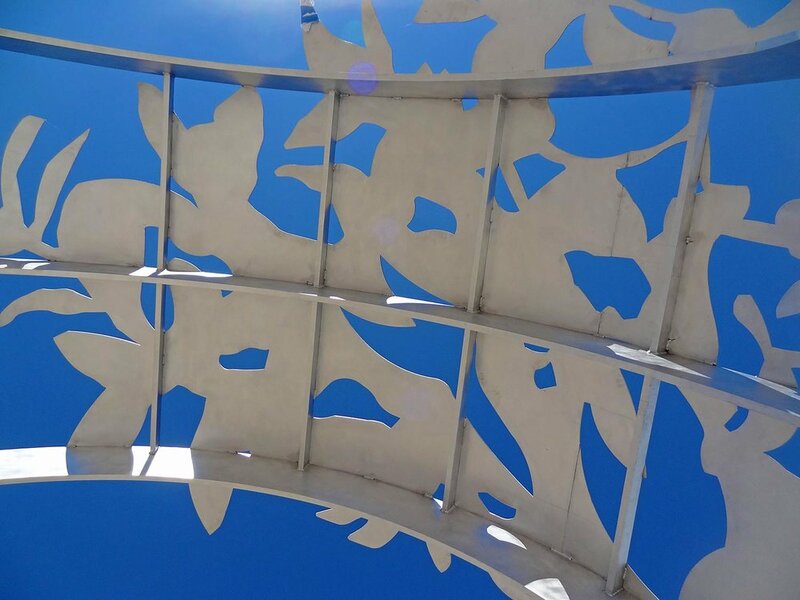 The canopy creates ever shifting shadow patterns and simultaneously provide much needed shade. 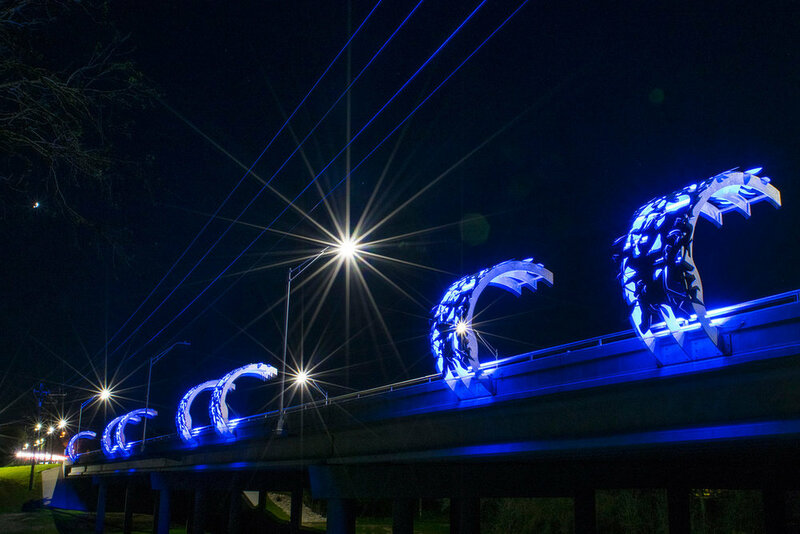 At night, Leon Creek Crossing is lit from within to create vibrant blue color effects. The lighting in combination with the aluminum creates a shimmering visual texture. 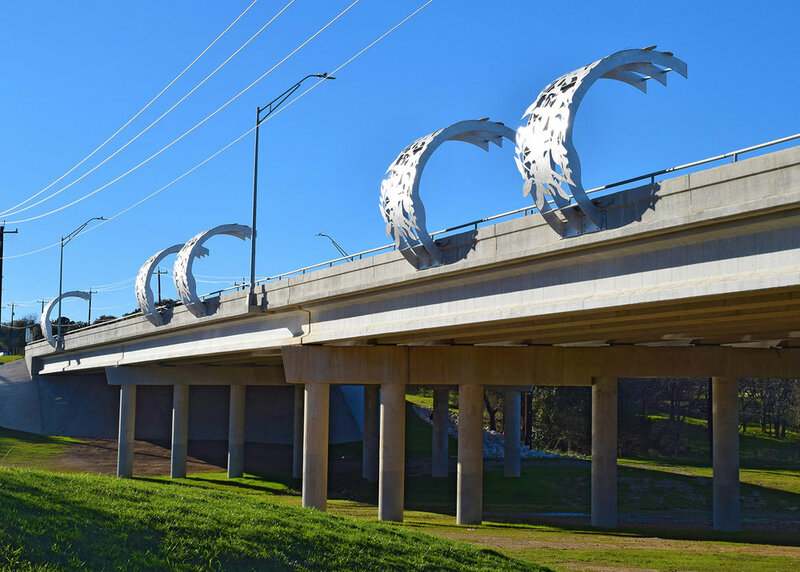 Commissioned by Public Art San Antonio, Texas.